Dynamite was invented by Swedish chemist and engineer Alfred Nobel. Nobel’s posthumous endowment was used to create the Nobel Prizes, the annual awards recognizing works of cultural and/or scientific advancement. 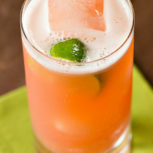 Shake the gold tequila, apricot brandy, lime juice, grapefruit juice and maraschino cherry juice in a cocktail shaker with ice. 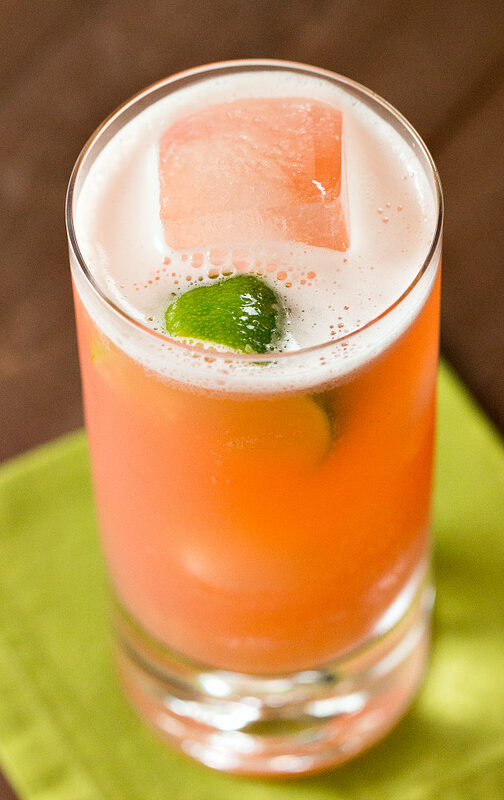 Squeeze the lime wedge over the drink, drop it in, and serve.